These lovely villas are set amongst a small pine grove just outside the lovely fishing village of Es Calo. Their terraces lead onto private areas partly shaded from the summer sun by the trees. The village, with it’s picturesque harbour, cafe, restaurants and a small selection of shops, including a food store, is close by. Small, sandy bays set along the rocky coast can be reached in a couple of minutes by a footpath leading through the pine grove. 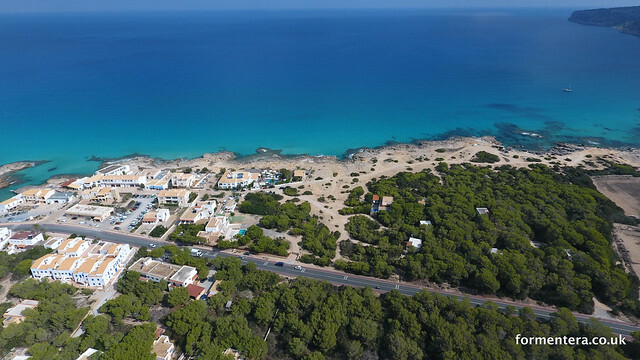 The delightful beach of Es Calo is beyond the harbour and only a 5 minute walk. There are three, 1 bedroom villas, each sleeping up to 4. One bedroom villas have twin or double bed configuration.